Since I am a Handyman by trade and will hopefully be doing some travel/work trips I am working on some tool solutions. I am making a rear bed, full walkthrough layout. 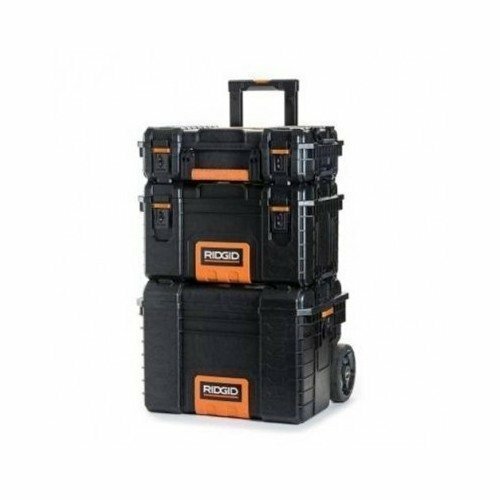 My Ridgid Toolboxes will fit under the bed in the back, but I do want a toolbox that is designed with what I will need for maintenance and emergency repairs on the van itself. I have a dedicated socket and wrench set, and need to get an electrical tool list together as well, I will probably get them together as I am doing the electrical system and solar stuff. I am looking for a small ox I can keep all this stuff together in and have a dedicated spot for it. Trying to figure it out now before I build a spot for it so I am not trying to fit something in later that doesn't work as well. My main boxes I use for work are the Stackable Ridgid System and it works well but I dont need anything this big for the dedicated box. 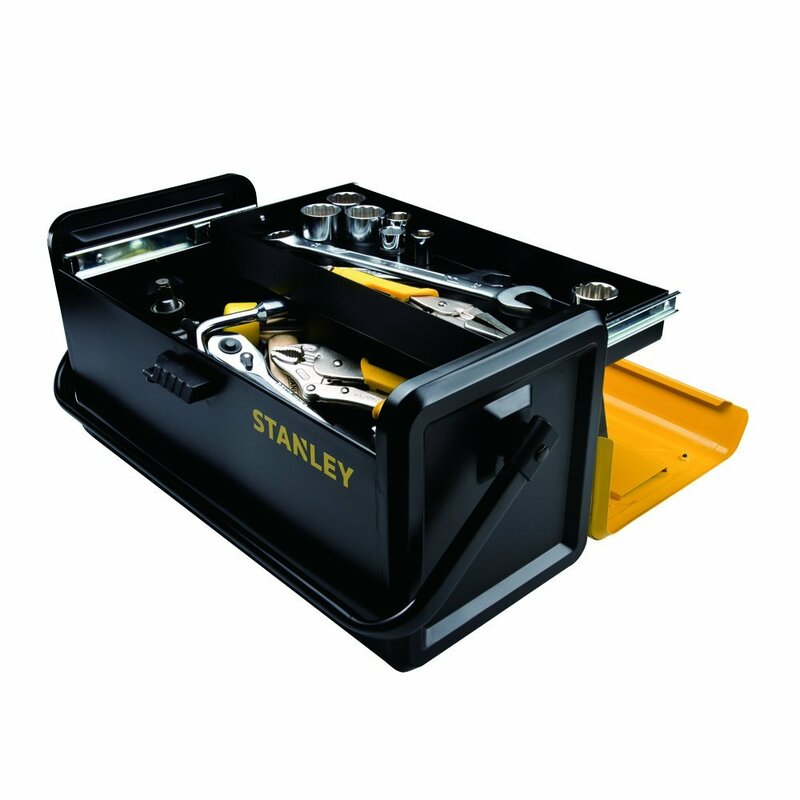 I found this Stanley Metal Box on Amazon and it is pretty cool. The price ia bit higher than I was looking into but the reviews say it is well built and really sturdy. There is a Stanley Plastic Version as well that is much cheaper but doesnt look as strong or as cool for that matter. 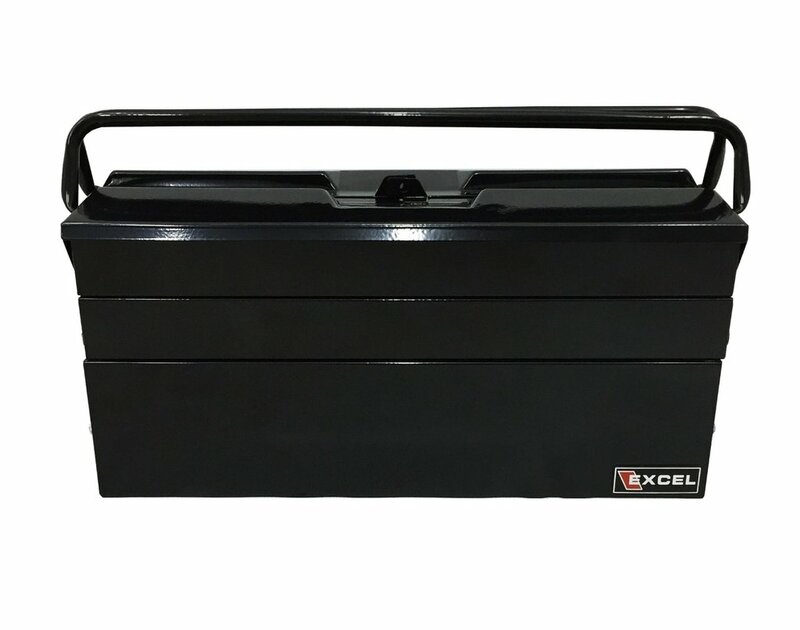 There is also a Cantilever Excel Toolbox I found but I have had issues with this style in the past getting slightly bent and then not opening or closing properly. It does have the benefit of more storage in the same amount of space. There is also a super beefy International Toolbox but there are no organization trays, and it is larger than I was thinking of. It would make a great bumper box, I don't think it is big enough for batteries or that might be another use for it. 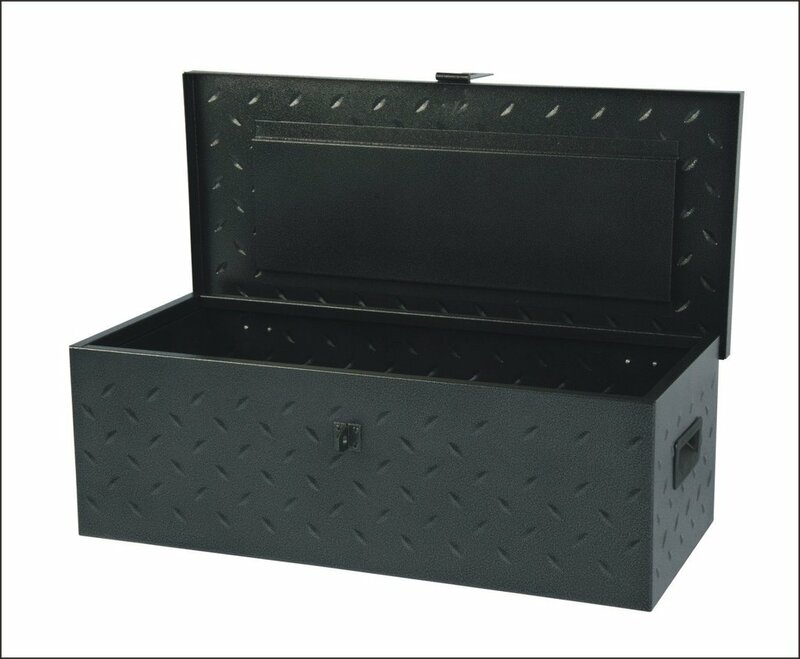 Is there a toolbox you have used for your dedicated Van Tools? Also is there any tools you view as must have in the Van? Are you planning a basement box and moving the spare to the rear bumper? Amazing amount of space down there for tools. I stow larger loose tools where I can fit them, such as a breaker bar for the lugs, big ratchet, emergency chains, extra small bottle jack etc. 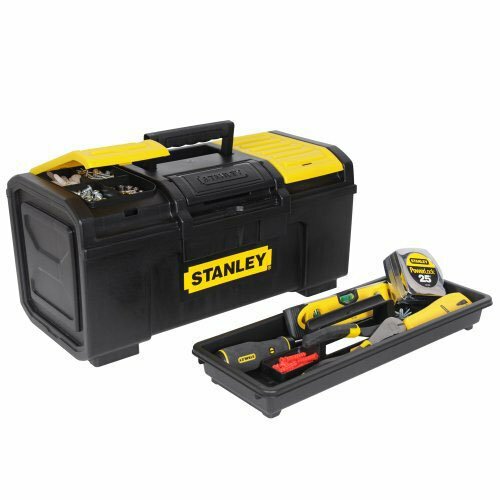 On top of that I carry two things, a Craftsmen medium duty tool set in it's flat molded case and my everyday plastic chest about the size of the plastic Stanley above. This one is a must for me and goes everywhere with me. I feel lost without it. It has all of my most common tools that I use at home everyday and it sits on my cart in the shop when I'm home. I keep a small selection of hand tools plus fuses, spare general hardware, multimeter, tire gauges, electrical tools, Ford stuff like Torx, tapes, zip ties, lights, you name it. I've tried to just keep a duplicate of most of that stuff in a vehicle but never can keep track of it if it isn't my 'EDC' tool box. If I had an under floor storage I would use it for tools. Each person is gonna have a different answer. We all have different levels of skill and some of what you carry might depend on where you go and the terrain. I go as light as I can but have basic tools stored on board. Standard screwdriver and pliers kit. Electrical stuff...voltmeter, wire, tape and crimps. I have 1/2 drive stuff but also a small ratchet set as well. Breaker bar instead of a torque wrench. Most of my stuff is all in soft bags or tool rolls. Off the top of my head some of the things I carry might be overkill like a torch head, and Dremel. Hose pinch off pliers and clamp pliers are nice to have. 12v probe light is a keeper IMO. I also carry one of those mini-hack saw blade holders and several blades. Yeah full size is nice but I'm not going to carry a Sawzal or drill if I can help it however if I were on an extended trip I might throw in some battery operated tools. Being I'm somewhat limited on 6.0 PSD repair, I don't pack tools for specific for engine work. I'm sure I'm missing a bunch of stuff. I recall reading about this over on portal. I have seen the basement boxes and I do like that idea. It is gonna be a long while before that happens though. This is gonna be a build and use as I go and I have a lot of other stuff to do first. I am leaving that part of the floor open though in the layout to keep that option open. There is a lot of storage options to explore under a LWB E-350. I picked up a Husky tool bag system from Home Depot yesterday. Similar to the Rigid system but the bags are heavy duty nylon. Am planning on using one for recovery gear and one for tools. The largest one with roller wheels will be gifted to my sone in law. Hose pinchers are new to me, but sound very useful. I'd appreciate recommendations for what to buy. I have these types. Sears even sells the pliers but the clamps are also worth having a few sets of and places like AutoZone should have them.